Tickets $10, $5 for BCC students! Seventeen-year-old Leila Sarsour, an observant Muslim, breaks the widespread Western stereotype of the weak, victimized Arab woman: she’s strong, intelligent and outspoken—as are many of her female compatriots. Leila Sarsour is a student at the Al-Qurtuba [Cordoba] School, a Palestinian high school for girls in the West Bank city of Hebron (Al-Khalil in Arabic). The school is surrounded by Israeli military installations and settlements populated by right-wing Jewish religious fundamentalists. 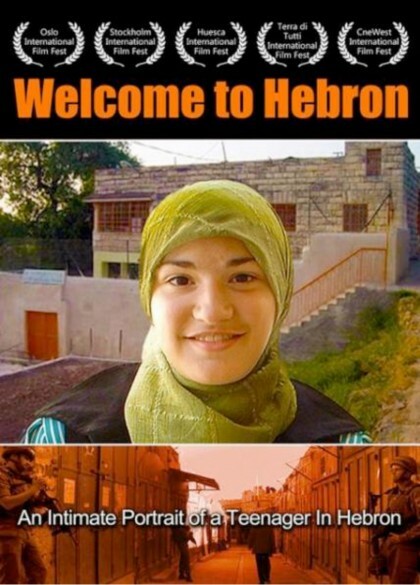 “Welcome to Hebron” depicts everyday life for Palestinians attempting to lead normal lives in this volatile city surrounded by checkpoints and barbed wired. Directed by award-winning Swedish documentarian Terje Carlsson.